About half of all states in the U.S. don't require school lead-water testing. Gov. Evers is calling for $40 million to address lead services lines across the state. A Wisconsin group gave the state a failing grade when it comes to addressing lead in school drinking water. A public interest group called WISPIRG says that's because the state doesn't require school districts to test for high levels of lead in drinking water. Some districts like Milwaukee Public Schools voluntarily test to make sure their schools are safe. For Milwaukee parent Veronica Hill, hearing that schools across Wisconsin are not required by state or federal law to test drinking water for lead comes as a disappointing surprise. "Based off of how many old houses we already have in Milwaukee and how much lead is already in these old houses, I think the schools that were built right around the same time should automatically have some type of testing," said Hill. "Just like they have regulations for housing they should have it for our schools as well." Hill knows the problems lead-water exposure can cause for youth brain development. Her son tested positive for high blood-lead levels as a child. "That type of regulation and that type of testing should be automated," she said. Wisconsin environmental group called WISPIRG agrees. The group gave Wisconsin an "F" grade for not having a policy in place. Megan Severson is calling on state lawmakers to require lead-water testing in schools. "Whether it's the fountains where they drink, faucets in kitchens where food is prepared and wherever there's lead, there's risk of contamination," she said. Milwaukee Public Schools voluntarily tested its water for lead in 2016. 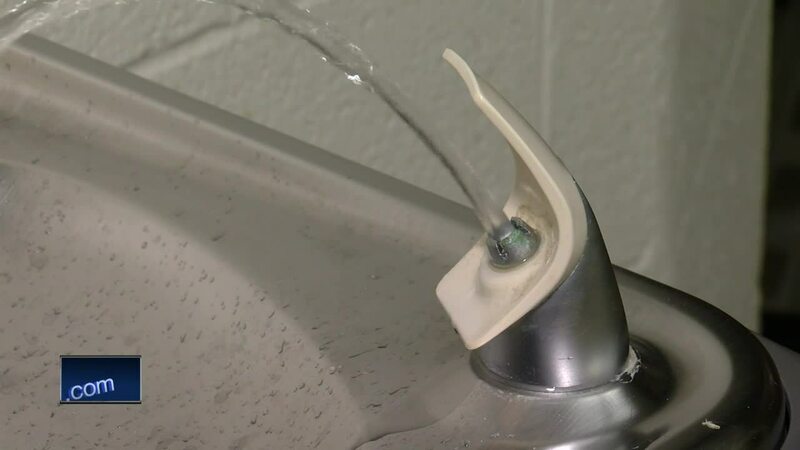 Out of 3,000 water fountains tested, 183 contained high levels of lead according to EPA standards. The district says those fountains were immediately replaced. Severson wonders what would be found at districts that don't voluntarily test. "Please note there are no lead service lines leading from the City of Milwaukee's water service into MPS school buildings. Additionally, in an effort to demonstrate leadership in addressing these concerns the MPS has completed a district-wide water filter installation program at all schools to further improve the overall water quality. MPS continues to monitor water quality in the district, though neither the EPA nor the state require school districts to test or monitor their water. To my knowledge, MPS is the only school district in the state that has made this commitment to the safety of our children. When we did our full-round of testing in 2016, we decommissioned any water fountains that tested above the EPA standard of 15ppb or more. Those fountains were replaced and only brought back online when tested again. In 2017 we announced our three-year plan then was to install filters on all 3,000 water fountains in the district. We are on schedule to meet that goal."